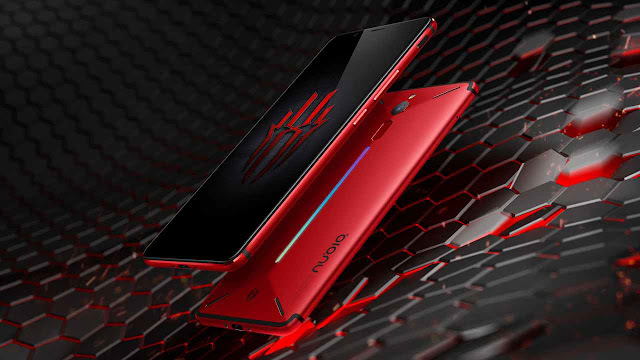 The Nubia Red Magic Mars is the new Gaming Smartphone that has been launched in Shanghai, China today. The device was teased a month ago with 10GB of RAM and Qualcomm’s Snapdragon 845 SoC and now the gaming smartphone has been launched in three different storage options with 10GB + 64GB being the top model priced at 3999 Yuan. The device will be available from 7th of December in Jingdong and it will be coming with a similar design to the Red Magic 1 with better ergonomics. The name of the smartphone is said to be Mart, which means Myth, Armour, Reload, Saga according to the company and the handset will come in Ochre Black Flame Red and God of War variants. Furthermore, the AnTuTu score of this smartphone is 361730, which is more than that of Asus ROG phone and Xiaomi’s Black Shark Helo Phone. Nothing is mentioned about the global rollout yet, which is expected to announced soon. The handset will feature a 6-inch FHD+ LCD display with Corning Gorilla Glass on top. It will come out of the box, with Redmagic 1.6 OS based on Android 9.0 Pie. There is an LPDDR4X RAM up to 10GB along with up to 256GB of UFS 2.1 Flash storage. Under the hood, there is a Snapdragon 845 Chipset as teased earlier and has dual front-facing speakers along with a 3.5mm audio jack on it. The device also comes with a custom-made phantom suit theme and a global immersive experience along with support for 3D dual speak surrounding sound. There is a 16MP main camera sensor on the rear with f/1.8 aperture sure with Neo Vision image engine which also supports multi-focus, multiple exposures, electronic aperture, clone camera along with few other camera features. To accompany this there is an 8MP selfie camera. Furthermore, the device has 16.8 million color RGB lights on the back with six different light effects namely Sky, Iridescent, Laser, Rhythm, Aurora, Interstellar. The device comes with two sensitive and fast border capacitive touch buttons which are useful for gaming. Moreover, the handset comes with 4D intelligent vibration technology which is equipped with an independent liner motor along with a custom vibration control chip that can intelligently match 1000 + force feedback and 400 plus game scenes. The gaming smartphone comes with an ICR multi-dimensional stereo cooling system which combines liquid cooling along with air cooling to form a cooling system. The Red Magic Mars is priced at 2699 Yuan for the 6GB RAM + 64GB storage while the 8GB + 128GB variant is priced at 3199 Yuan.